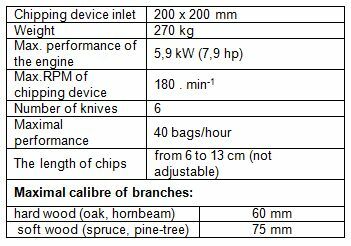 This branch logger is powered by four-stroke petrol air-cooled engine with one cylinder with 270 cm3 and 8PS of performance. 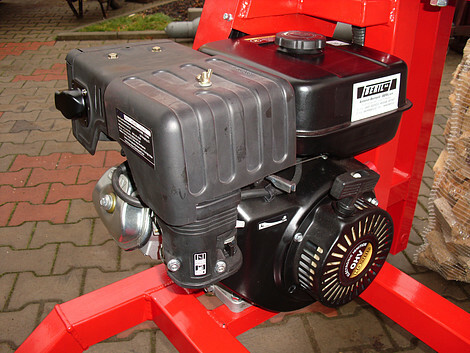 The power is transferred with V-belts from the engine to the gearbox which powers the chipping device. 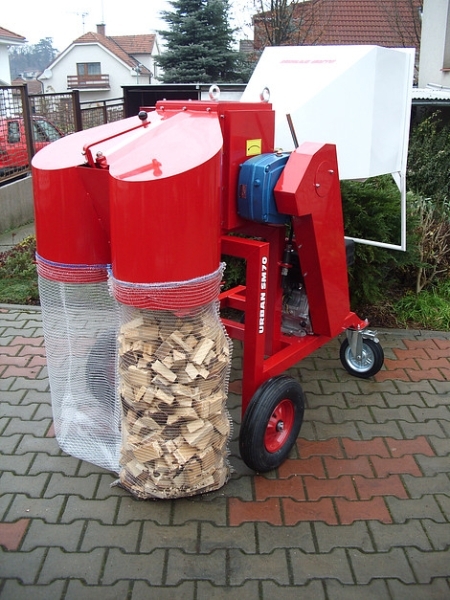 For easy manipulation, the branch logger is equipped by handle on the hopper as well as by 4 bantamwheels (two fixed and two rotary). 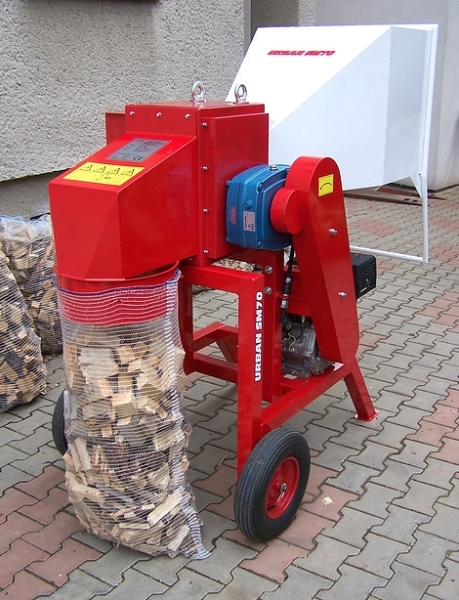 The branch logger has got the simple bags-filling device for 1 bag or double bags-filling device for two bags. 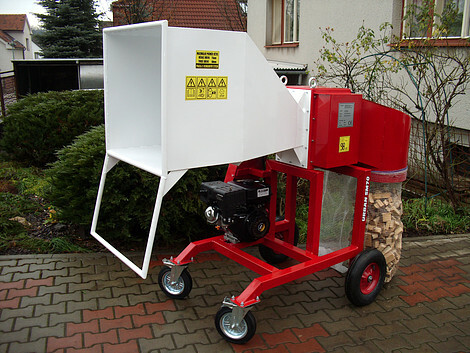 The input hopper is long enough to ensure the security for the working staff; its bottom is flat so branches are easily put into the chipping device while working at low level of RPM (compared with TR70, the working level of RPM is about half).